Pendulum Flaps in cement preheaters have the function to avoid counter gas flow through material pipes between two stages of the preheater. Such counter gas flow leads to unwanted heat loss and build-up formation in meal ducts and results in drastic reduction of the separation efficiency of the cyclone above. The importance of well functioning pendulum flaps is often neglected by operators. High specific energy consumption (kcal/kg clinker) and poor separation efficiency of the cyclone causing large quantities of re-circulating dust in the system as well as high quantities of dust loss into the kiln filter are the costly consequence. 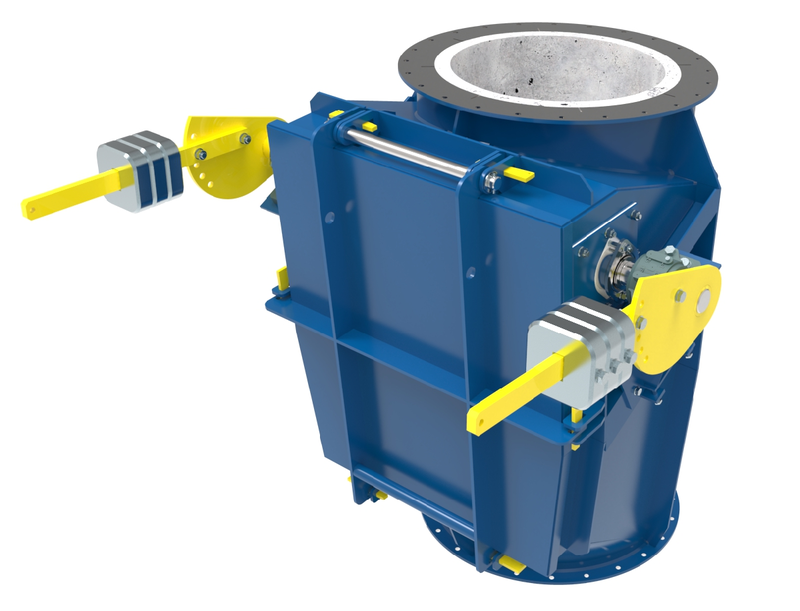 Based on many years of experience gained in cement plants around the world, A TEC has designed a unique type of PENDULUM FLAP which overcomes the problems usually faced with conventional pendulum flaps.